Th 26-Apr-2012: Raj and Yvonne (20 weeks pregnant) were visiting us from Manchester, arriving with flight KL108. Ton picked them up at Amsterdam Schiphol Airport around 4 PM. They were staying overnight to continue their trip on Friday to the north of Holland for the next days, including Queens Day. Clicking on the picture will show a larger version. Thursday 26-Apr-2012: Raj, Danique and Yvonne. Fr 16-Sep-2011: Yvonne, Sjoukje and a few girlfriends went to Sneek (Friesland) for a bachelor party for Yvonne’s wedding. 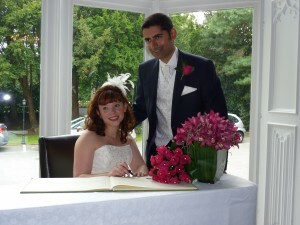 Yvonne got married to Raj in Manchester on Aug 19, 2011 and this weekend they did the whole party again for friends and family in Holland. The bachelor party was a boat tour in Sneek with onboard tapas. More details will follow soon. Sa 17-Sep-2011 20.00-23.00: Raj and Yvonne had a wedding reception at the brand new Van der Valk hotel in Sneek. Details to follow. 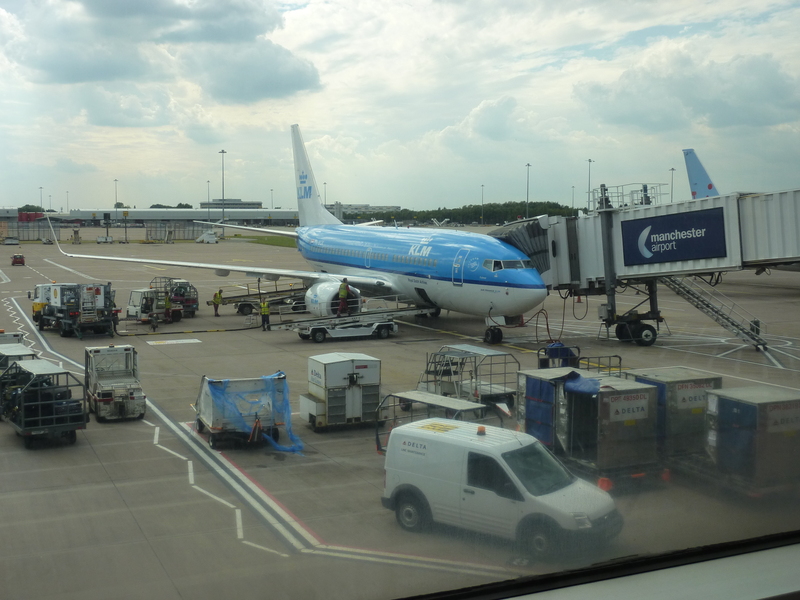 We flew from Amsterdam to Manchester with KL1087. Raj and Yvonne picked us up from the airport, where we mounted our car seat in their car for Danique. 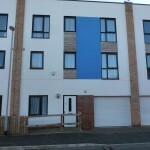 We were dropped off at hotel Disbury House where we met Yvonne’s family. Th 18-Aug-2011: Arrival at Manchester airport. 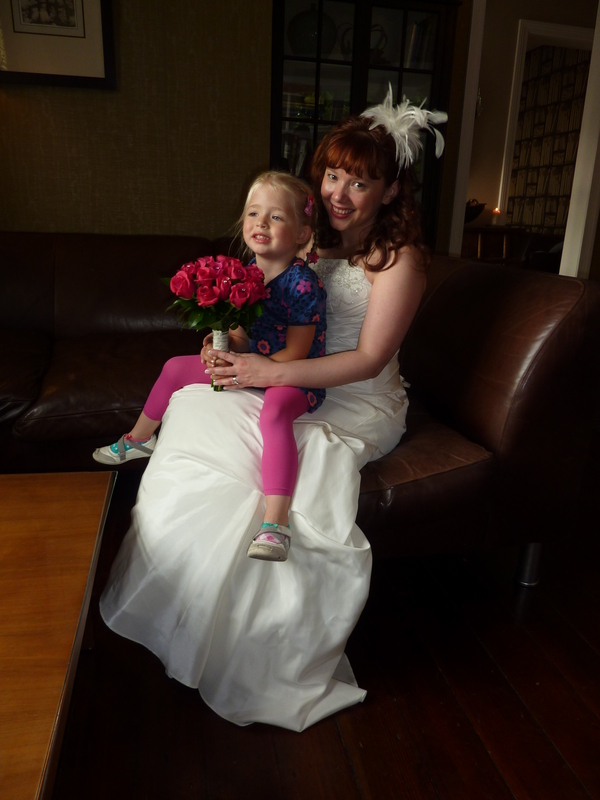 Wedding ceremony at Didsbury House and then dinner with reception. 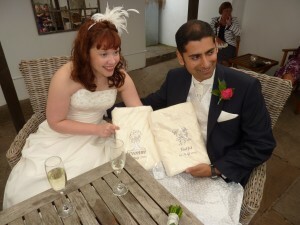 Fr 19-Aug-2011: Raj and Yvonne got married. Fr 19-Aug-2011: Yvonne and Danique. Fr 19-Aug-2011: Yvonne and Raj showing our wedding gift, 2 embroided towels with their names and wedding date. 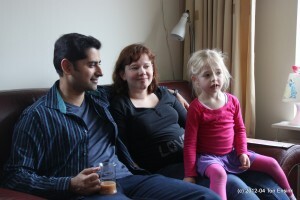 After breakfast we checked out at Didsbury House to stay with Raj and Yvonne. 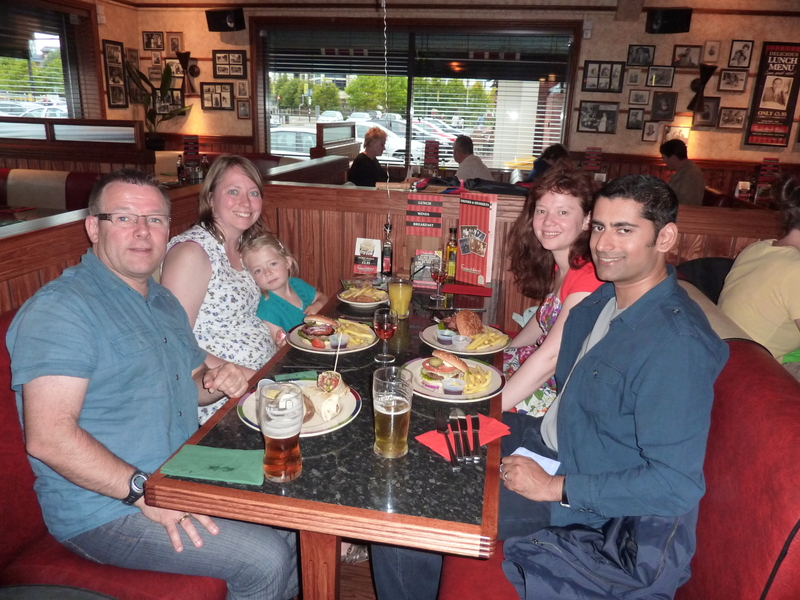 Dinner was at Frank & Benny’s New York restaurant in Salford. Sa 20-Aug-2011: Dinner at Frank and Benny's restaurant in Salford (UK). 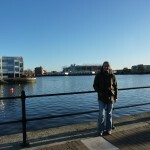 After a walk in the park in Salford we flew back to Amsterdam with KL1088. 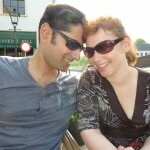 Th 28 / Su 01- May-2011: Yvonne and Raj visited us. They live in Manchester. They spent a few days with us to e.g. celebrate Queens Day. On Sunday we drove them to Yvonne’s parents. This is were Raj first met them. 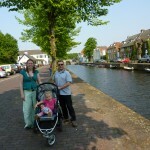 Then we drove to Grou to visit Froukje and Peter. 29-Apr-2011: Sjoukje, Danique and Ton in Naarden Vesting. 29-Apr-2011: Raj and Yvonne in Naarden Vesting. Fr 18 / Su 20-Mar-2011: Sjoukje visited Yvonne and Raj in Manchester to assist her with choosing her brides dress. Sa 19-Mar-2011: Danique and Ton visited Henk for his birthday. 18-Mar-2011: Raj and Yvonne’s residence in Manchester. 18-Mar-2011: Sjoukje with Manchester United’s stadium in the background.